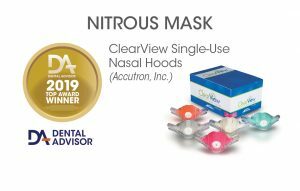 ClearView Single-Use Nasal Hoods, used to deliver nitrous oxide, have a double-hood design that includes a colored, scented inner hood as well as a transparent outer hood. The addition of this transparent outer hood gives the clinician a visible indication (in the form of condensation), that the patient is properly breathing the nitrous oxide. ClearView Single-Use Nasal Hoods are contoured for adaptation to the nose and a good facial seal. These hoods have a low profile and are latex free. They are available in adult and pediatric sizes in six scents (orange, bubblegum, vanilla, mint, strawberry, and grape) plus unscented. ClearView Single-Use Nasal Hoods are available in packages of 12. 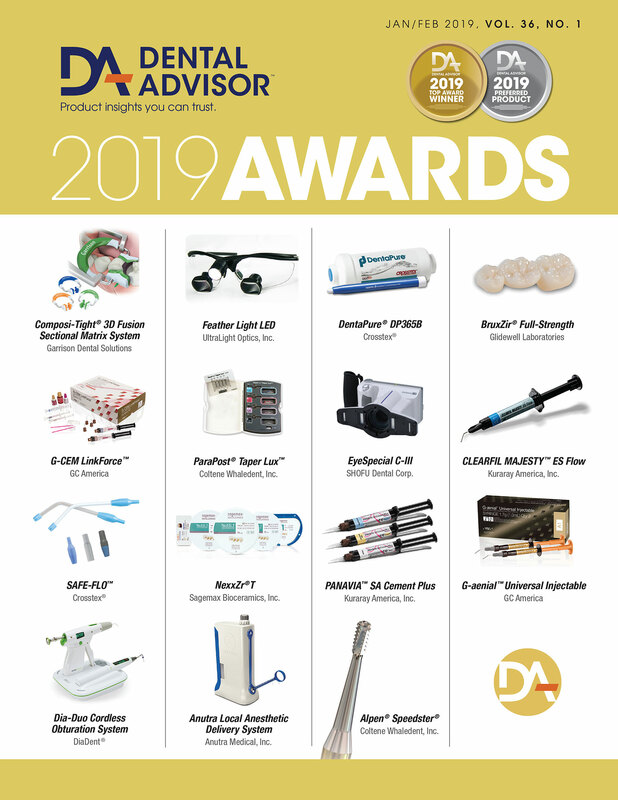 ClearView Single-Use Nasal Hoods were evaluated by 25 consultants in 479 uses. This nitrous oxide nasal hood received a 92% clinical rating.